Learn how you can network so that it leads to interviews. The hardest part of any job search is getting an interview. The only predictable way to get an interview is through networking. 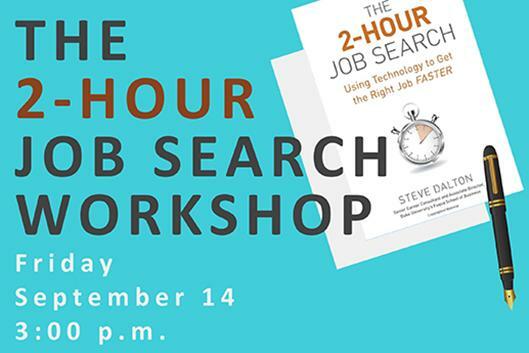 Be sure to attend this workshop where, Stave Dalton, author of The 2-Hour Job Search and Duke MBA Career Coach, will offer an exact process for turning strangers into advocates, leading to more referrals and more job interviews.